Several mares can be monitored via Foal App, with audio and video also able to be used. Last year, Horsetalk asked if a reliable foaling alarm could be developed using smartphone technology for under $50. Now, an Australian breeder has done just that, and created Foal App to help breeders sleep easy during the foaling season. 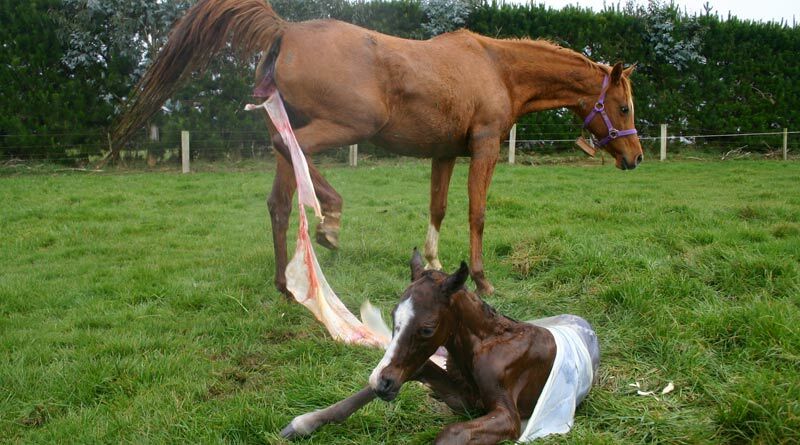 Foal App was developed in Gippsland, Victoria, and has more than 100 breeders signed up for early access. “Foal App was born coincidentally when we were foaling down our own mares, and we became frustrated with the technology that is currently available,” said developer Aimee Taylor. Foal App has been on show at veterinary conferences and Equitana in the past few months. To use Foal App, breeders download the app on their smart phone and a second smart phone, then attach the monitor smart phone to their broodmare’s halter. The app works by using the sophisticated sensors already in a smart phone. Users can view a live video and audio feed from the mare’s phone, helping them to check for “false alarms” at anytime, from anywhere. Other benefits include the ability to monitor multiple mares on your phone, low battery/signal alerts, long range signal (via mobile network) and reliability in all weather conditions. For use during the night, users can activate the torch on the monitor phone from their personal phone. Foal App is free to download and use as a receiver, but to use it to monitor a mare you must buy credit within the app. This credit is per week, but does not expire until it is assigned to a mare and consumed. Weekly credits cost $US10-20 depending on quantity. The Foal App pouch to attach the phone to your mare is $US49.95. The monitor phone attached to the mare will also need its own mobile phone plan. Equine veterinarian Amanda Waller helped test Foal App, and she was impressed with its performance.